The Fourth of July Cargo Bike Ride is on. We’re notoriously late and have never actually made this ride. 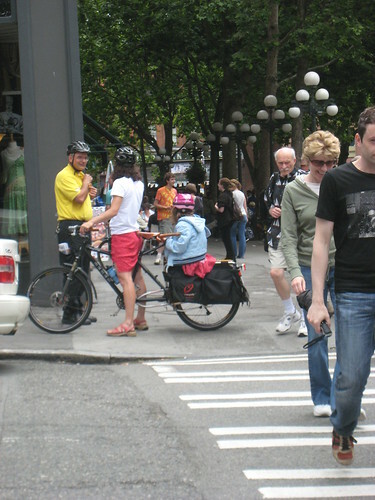 We’ve pedaled down to Pioneer Square and missed the ride on more than one occasion. We don’t know our plans for Sunday, but we’ll try to make it. This entry was posted in bikes, Events, extravehicular activities, summer and tagged 2010, events, Fourth of July, rides, seattle. Bookmark the permalink. Should be no problem for such accomplished scavengers – if you miss it, all you have to do is find T71 (Herring’s House) Park, across from the Duwamish Longhouse. Easy peasy! C ya!